As claimed by the U .S. Bureau of Labor Statistics, most printing business enterprises hire fewer than 10 people. As more printing business owners use digital printing equipment, fewer skilled technicians will be needed to operate this machinery. Today’s digital printing machines are mini and less pricey than ever before and almost anyone with capital can buy and operate digital printing equipment, even from a home office. Establishing an online printing business will require less capital because all you need to purchase are the equipment. No hassle of renting or buying a shop. However, registering and marketing might take a good amount. An average of $40,000 is required to start up this venture. 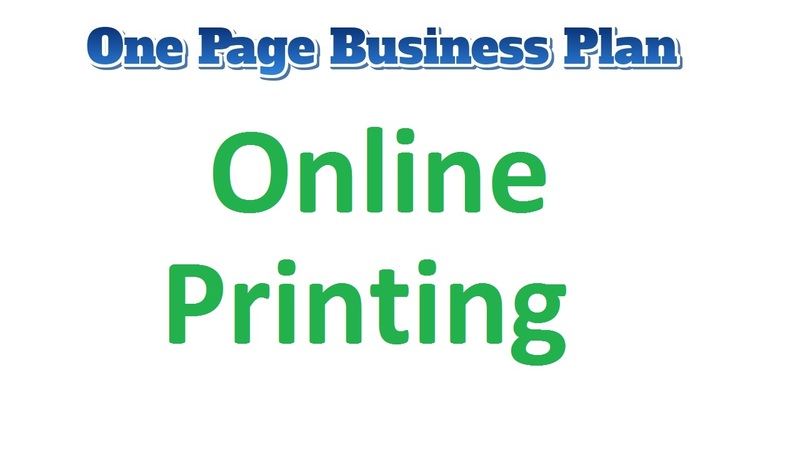 No business location I required to start up your online printing business! The most successful printing businessmen start a printing business by finding a niche in a specialized area, such as digital printing. Instead of trying to be all things to all people, success is more reachable by targeting a need and fulfilling it. One of the best examples of this plan can be witnessed by the success of franchise sign printing businesses, which target budget-minded business owners who only need infrequent signs and banners, which can be spotty (inconsistent demand) or loaded with competition. These businesses do not try to offer anything but swift-turnaround signs and leave pamphlets and envelope printing to conventional offset printing businesses. You may consider operating as a sole proprietorship if your business is small and will not have employees. If planning for a bigger business, your structure may be better suited to an LLC (Limited Liability Company) or a corporation. Contact the SBA website for more information on the business structure that is right for you. Your legal structure will speak out the rules that apply to your business name. Buy all your printing equipment, supplies, and blank printing stock. Where what and how much you buy will vary on the type of printing process you choose. If your machine supplier offers training, you should consider taking it, as many printing processes require training and experience before you will be able to produce quality work. Visit the printing businesses’ websites and learn all you can about them to find out what facilities they are lacking. Outline plans to start your online printing business by researching ways you can offer those badly-needed services and improve the printing business as a whole within your specific niche. Once you start a digital online printing business, you need to get the word out to bring in sales. Join your local chamber of commerce, sponsor community events, and market in the local newspaper. Don’t forget to market yourself online by making an effective website of your online printing shop, involving in industry forum discussions, and taking steps to differentiate yourself from the local and worldwide competition. Your target markets are your customers. You have to provide them the best services so that you get well-known in the market. Before you start this business you have to make a proper business plan. Therefore, you need to have skills to about how to do printing and stuff. You can take three months courses offered by many institutes. Or if you can’t afford you can also educate yourself by reading articles and watching videos on YouTube and other sites. The best thing about this business is starting it online. Indeed, Online businesses require a lot less many than normal businesses. No hassles of permits and license or renting or buying a shop. Plus, you earn almost the same amount which you’d have earned if you had opened a store-based business. Therefore, your key to success is providing the best services to your customers.